Despite the obligatory fat jokes that plagued his twilight years, legendary filmmaker Orson Welles was a giant of the 20th century. His skill at film direction unsurpassed, his eye for imagery unparalleled, his turn at acting both menacing and thought-provoking, and his penchant for cheap wine all too human. In all those old fairy tales and myths, people were best advised to stay away from giants. They're intimidating, inhuman and they can crush men underfoot like ants. When an all-t00-human weakness is revealed, it doesn't necessarily knock them down a notch but rather adjusts one's vantage point. They're seen differently, no longer as a giant, but as a fellow man. Orson Welles revealed this side in the latter end of his career, when direction went by the wayside and Paul Masson wine came by the crate. 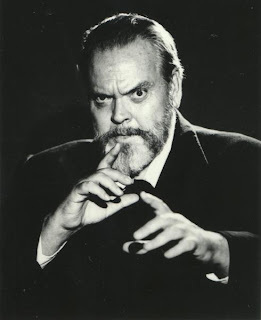 Notorious for his nitpicking of advertising copy and "dialogue," Welles simply refused to accept things as is, instead fusing his unique brand of delivery with ordinary commercial rubbish. Sometimes this involved drunkenness, as demonstrated in a series of Paul Masson commercial outtakes -- some of the funniest ever committed to film. Watching a drunken Welles miss his cues, nearly fall asleep and slur his dialogue in front of an intimidated duo of commercial actors is simply hysterical, not sad. One of the greatest directors of all time shouldn't be admonished for a series of seemingly embarrassing commercials. For the money and probably a decent supply of wine, one could do a lot worse. After all, we're only human.